If chums Alela Diane and Joanna Newsom had attended elementary school together they would have doubtlessly been forced to participate in a science fair or two. Can’t you just see it now? Newsom’s project: frilly, flashy, foppish, freaky, forbidden; and Diane’s more modest project: dutiful, 'dumbed-down', drowsy, dapper, diminutive... and who wins the prize? Newsom of course, but that doesn’t mean Diane’s work doesn’t deserve a ribbon or two. In fact, some might argue that her lean, subtle presence is more enchanting for its bare-cupboard feel, a whisper in the wind that shouldn’t get lost amid so much freak-folking. The Pirate’s Gospel yo-ho-hos and arrghs its way through 11 tracks in just over 30 minutes. 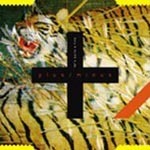 Rest assured there are no harps, no cracked, shape-shifting hysterics and no appearances by Rev. Banhart. And that’s just fine — Lady Diane keeps her trains running on time, each individual song blending into the Gospel’s mainframe like hot wax cooling and settling into the confines of a nearly spent scented candle. Allegedly hailing from the “deep woods and winding rivers of Northern California” — it’s funny how the folkers all come from mystical, non-specific locales — Diane’s spare accompaniment lends her the wings to fly where she pleases, never a slave to sudden dynamic shifts or irksome harmonica and other riff-raff often associated with her ‘scene’. Flanked by her guitar for the most part, with an occasional hand-clap, baritone back-up vocal, or whistle adding subtle substance, Diane touches upon the human condition, the whims of mother nature, the limitations of the human condition (“If I had some of those other things / I’d put them into jars on the shore”) and — you guessed it! — our helplessness when faced with the whims of mother nature. Her lyrics aren’t anything to write home about, nor are her bashfull baby-riffs, which all sound eerily similar when plotted back-to-back. Diane’s strength lies in her assured voice and preternatural affinity for placing the perfect melody in the perfect place. She slowly but surely crawls beneath your skin, her sly stylings rendering her well of inspiration an attractive source to draw water from repeatedly, a quality missing from many of her peers’ work. 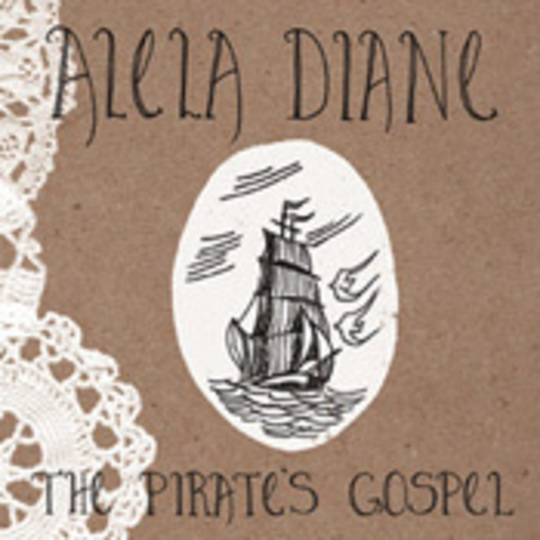 Far more delicate in nature than its title would suggest, The Pirate’s Gospel only skims the shores of inspiration, and Diane’s voice soars all the higher for it.